The trees dipped their leaves in the water. We took off our clothes in the car. And we swam in the moonlit reservoir. But it's still who we are. From Mother's Day to Hallowe'en. And all kinds of days in between. Every chance we could get. And also naked and wet. Of bedpans and wires and tubes. And I have a great place to go. And all those times we wished for money, what we should have wished for is time. “It's hot, but it's quiet tonight. And when I've left this all behind me, you know where you'll always find me. But he's always smiling anyway. If a giant cowgirl steals your heart away? How you gonna hold her close, my friend? How you gonna hold her chair? How you gonna cop a feel, big fella? How you gonna stroke her hair? How you gonna ease her aching heart, wipe her tears away? How you gonna take her dancing, son, down on Route 9A? 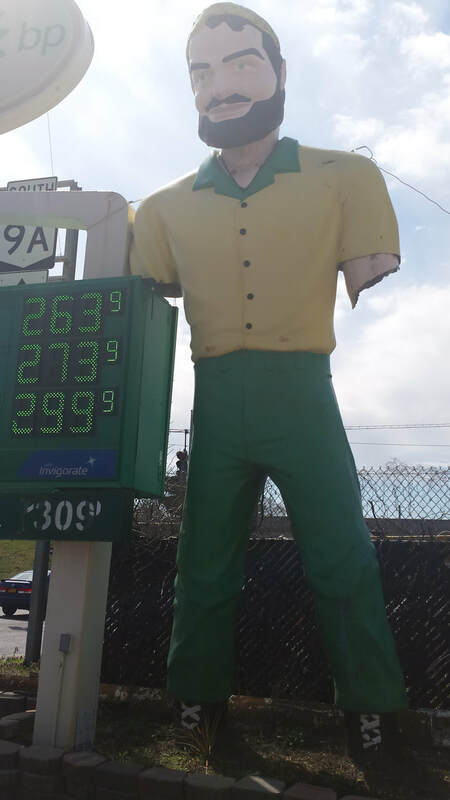 He stands outside a tire store. There's a kid down by his feet. She's way too tall, but awful sweet. Not a date, or anything. Just hanging out for the day. But a giant cowgirl stole your heart away. Don't you want to hold her hand, my friend? Don't you want to to touch her hair? Don't know much about holding chairs. Don't know much about anything. Don't have much to say. Only way to see them is to see what they can do. They can reach me way across the city. Maybe cop that feel after all. And the lumberjack stares him down. And the boy feels like rodeo clown. But he can't think where to start. And he hears a deep voice rumble in his heart. “Yes, you are a knucklehead. But smart and funny and kind. That's the guy she wants to find. All the rest, forget about. Let her lead the way. I think his arms are really there, but they're invisible. They can reach me way across the decades. Make me feel like a kid without a clue. A talk with a lumberjack can do. Lead her to a quiet corner of the dance floor. Stuck by the side of the road. I guess that giant cowgirl never showed. Pair of former ladies' men. Down on Route 9A, boys, down on Route 9A.